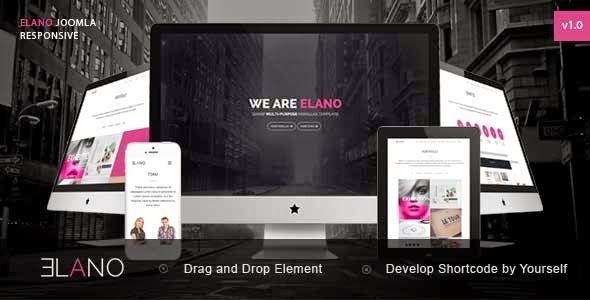 Elano is an new premium Multipurpose Joomla Template. This theme is One Page Parallax, HTML5, Compatible with bootstrap 3 and Responsive Template suitable for any creative business agency, corporate, freelancers or small business. The template is responsive, you can view it also in the mobile/tablets devices. Item Reviewed: Elano - Sharp Multipurpose Joomla Template 9 out of 10 based on 10 ratings. 9 user reviews.